The Braun Series 5 electric shaver gives you efficiency in every stroke, shaving even dense beards and reaching difficult areas. A 100% waterproof razor designed to last up to 7 years, for maximum performance and excellent skin comfort. Clean & Charge station cleans, lubricates and dries shaver hygienically. 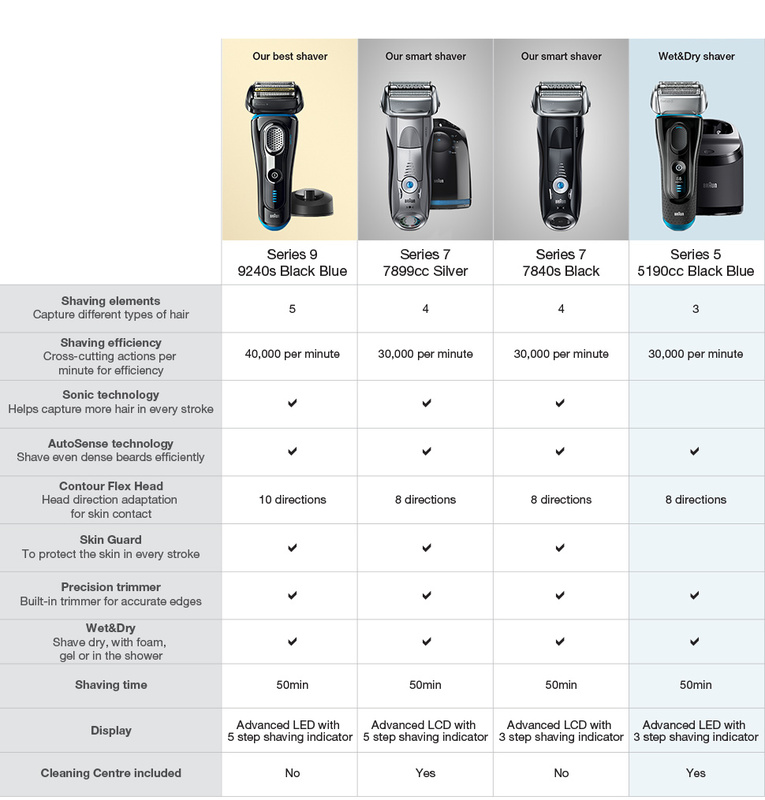 Series 5 Wet/Dry Electric Shaver Silver/Black Plus Clean & Charge Station is rated 4.5 out of 5 by 60. Rated 5 out of 5 by Scotty from Great Shaver! Bought this recently and couldn't be happier with it! Covers a large surface area and moves smoothly along skin for a close shave. Big fan of the cleaning station, super easy to use. Rated 5 out of 5 by Ozzietrekker from Excellent Shaver; Excellent Shave Not having used an electric shaver for many years, but through necessity having to buy one, I felt I was very lucky choosing this shaver. After one or two days of trial and error, the result is as close as a razerblade, but without the tension on the skin. My face feels smoother and even regrowth no longer bothers me like it used to. I think the cleaning process is great and I do not have to worry whether I am cleaning the shaver correctly. Very, very happy. Would this be a good choice for a 16 year old who has recently started shaving? Does the 5190cc come with a case? John, the shaver is not provided with a case. &nbsp;I guess the logic of this is that there is an expectation that the shaver will sit in the Cleaning Station when it's not in use. &nbsp;However, when I travel I use a case from an old Braun and that works well for me. Is this an accurate picture of the mains plug that comes with this shaver? i.e. a European plug, not an Australian one? I ordered this shaver and it came with an Australian plug. I hope that helps. Yeah you can, the charge cable used for the charging station can be removed and plugged directly into the shaver. Which store in WA has the Braun Series 5 or 7 in stock? Hi . All the shavershops carry both of these razors .